When absenteeism soared in our school, we became worried. Some were habitual absentees, some skipped school for reasons like missing the bus, losing their tiffin boxes, or bad weather, and still others had parents asking that their children be allowed leave for attending weddings, parties, and for holiday trips. While there were genuine reasons for being absent from school, we realized that this unhealthy trend had to be discouraged. We decided to introduce and promote hundred per cent attendance as an “ideal”. During the assembly, students were told that school should be their first priority. Parents were informed of the importance of regular attendance at school. We talked to them and helped them realize that regular attendance indicates a family’s interest in their child, that it signals the health and well-being of students, and amply reflects a student’s love and attitude towards his/her school. Reflective remarks were made on attendance by teachers wherever possible. Catalogues were scrutinized on a daily basis; the students who required counselling were given that support. Parents were contacted over phone if necessary. And on the first working day of every month the percentage of attendance for each student was read out. Review meetings were organized. All these resulted in increased awareness and alertness among all stakeholders. Gradually our efforts started paying off. There were reports of students giving convincing reasons to their parents (who would want them to attend a family ceremony or stay home for a minor ailment) about why they wouldn’t want to miss school. Healthy, cooperative competition among classes prevailed in the school. The impact influenced even the teacher community – a few of them decided not to take leave so that they would become role models for their students. At the end of the first term, parents of the students who maintained 100% attendance were felicitated. 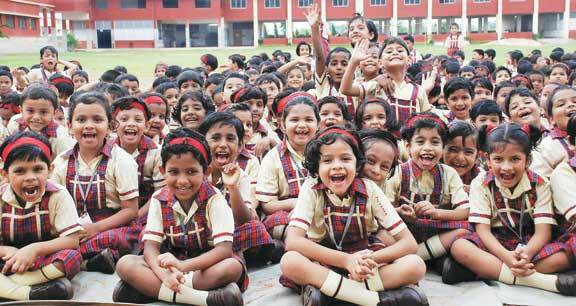 It was indeed a memorable moment for the parents who had taken care to send their children to school regularly. Now we have full attendance on most working days. The attendance does not fall below 90 per cent. As another incentive to students, now we have decided that the photographs of those who maintain a 100 per cent attendance throughout a term will be published in the school annual, no matter how large the number is. The author is the Principal of Kashinath Palod Public School, Jalgaon, Maharashtra. He can be reached at smuralivasudha@gmail.com.